1. Show Details - Wondering what to wear, when to show-up, which performance you're child is in? ALL those details and more about hair, make-up and call times can be found HERE on our Christmas Joy details page. 3. Saturday Stage Time - Due to a last minute scheduling change for a Hillsong Phoenix event we were unable to get a lot of our Tuesday and Thursday classes on the worship center stage. So we are having special stage time this Saturday from 9:00am-4:15pm. Take make sure everyone is prepared for their performances next week, Hillsong has graciously given us this Saturday to make up for our lost stage time. We are so grateful as ‘stage time’ is so crucially important for our students’ success. Take a look at the schedule below and see if your student is involved. 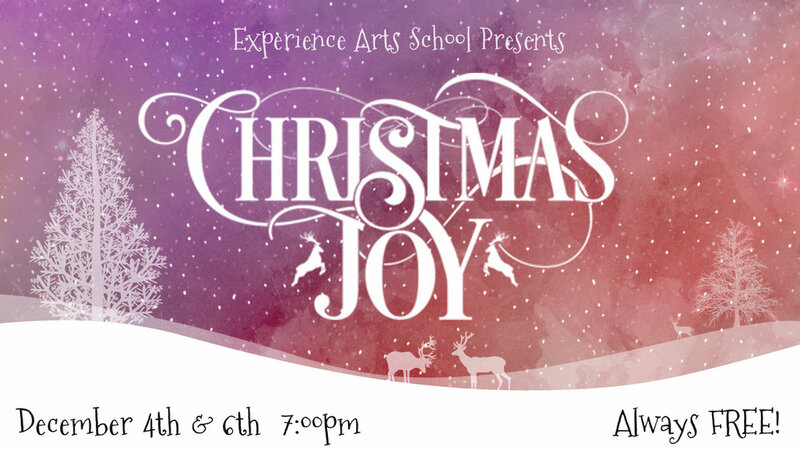 BONUS-Parents, while the kids are rehearsing we will be sipping hot chocolate and listening to Christmas music as we finish up our Christmas card stuffing and fundraiser basket preparation for the shows. So come hang with us and lend a hand as we work like little elves in getting everything ready for next week!